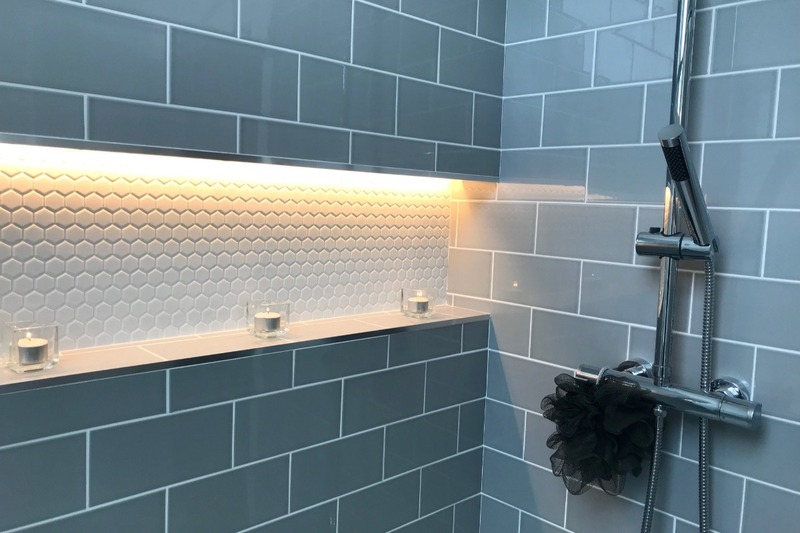 If you have an interest in interior designs then you’ll probably have come across many bathroom upgrade ideas that look absolutely stunning. Sadly, not every homeowner is blessed with large bathrooms where they can install a freestanding tub and a whole range of storage cabinets along with it. If a small bathroom is all you’ve got, then here are some space-saving design ideas that will bring out the best in your bathroom. Whether it’s installing a rack of storage in the corner of your bathtub or replacing your sink with a corner alternative, making use of all the space in your bathroom is a given. It may take a long time to replace something like a sink, but if you’re going to be stuck in your current home for a while then it’s a worthwhile investment. It’s vital that you start making use of vertical space, so take a look at the heated vertical towel racks that you can find here. Not only do they help you save space, they also give you a multi-tiered rack to hang your towels. They can also add some extra comfort to the room because your towels will be lovely and toasty for you as you come out of the shower! It may seem like a visual downgrade to go from a beautiful glass shower door to a curtain, but the way they swing open can make your bathroom feel really cramped. If you can get a sliding option as a replacement then that’s a good alternative, but the idea is to save as much space as possible to make your bathroom feel a little larger. Replace your bathroom mirror above the sink with a medicine cabinet and you’ll suddenly get a lot of extra space to put things like your toothpaste, mouthwash, medicine and so on. If you want an extra-large bathroom sink basin then you could consider moving the fixtures into the wall so that there’s more space to install a rather large basin. This is a neat little trick to make your bathroom seem a little larger because you’re not going to be stuck with a tiny basin that is barely usable. 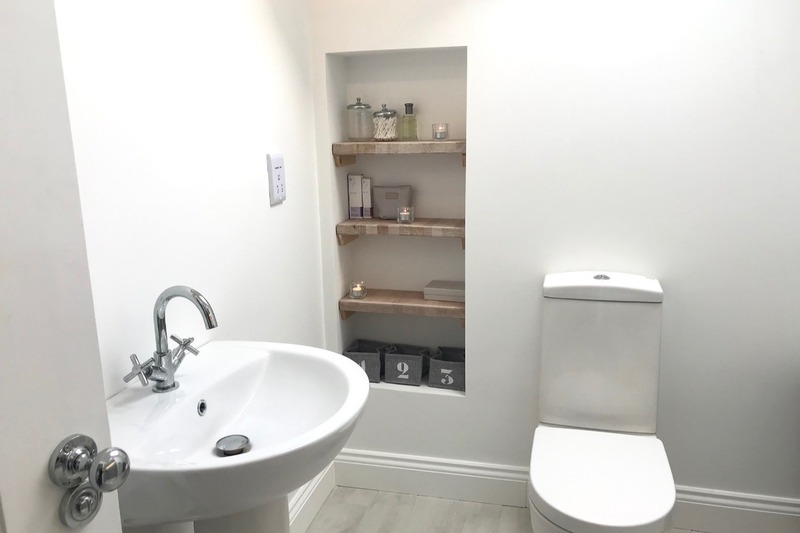 You can get simple little shelves to place under your basin as extra storage, but you can also consider replacing your basin with something that comes with drawers and extra storage options. 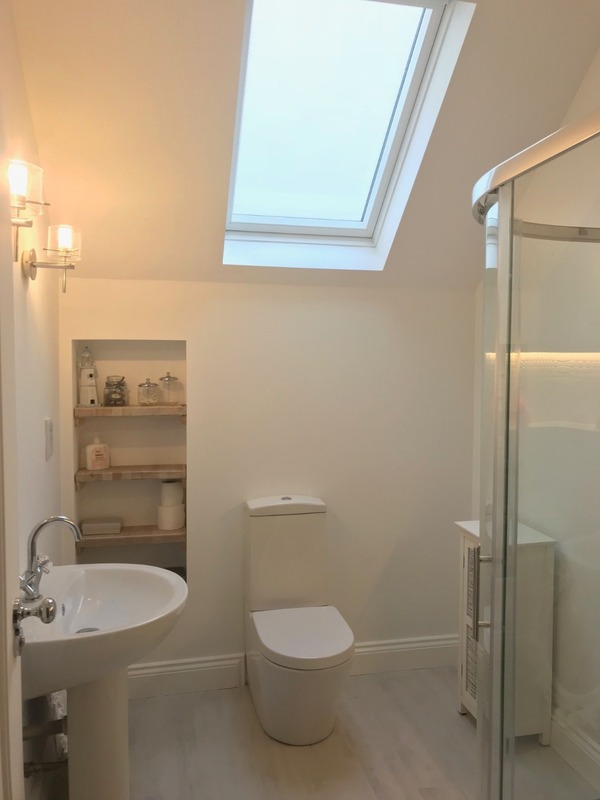 Whether it’s to place your towels, toiletries or even toilet rolls, having under-basin storage is a great way to add more usable space. If you have a small bathroom then you’re probably already putting things on your toilet’s tank, using it as an extra storage space. If there’s room, consider adding a shelf on top of your toilet tank as long as it doesn’t get in the way of actually flushing it. This will give you proper storage so that you’re not trying to balance things on a slightly curved toilet tank lid. Do you have a small bathroom in your home? What have you done to make it feel more spacious? Let us know by commenting below.